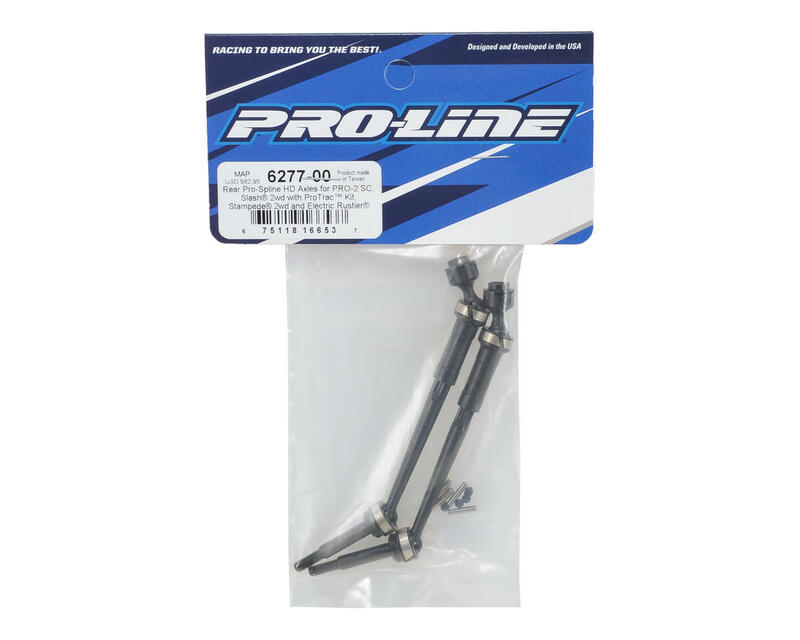 The Pro-Line Pro-Spline Rear HD Axle Set is a great upgrade for your Pro-Line PRO-2 SC, Traxxas Stampede 2wd, Electric Rustler, or Pro-Trac equipped Slash 2wd. The Pro-Spline HD technology is designed to handle some serious power. 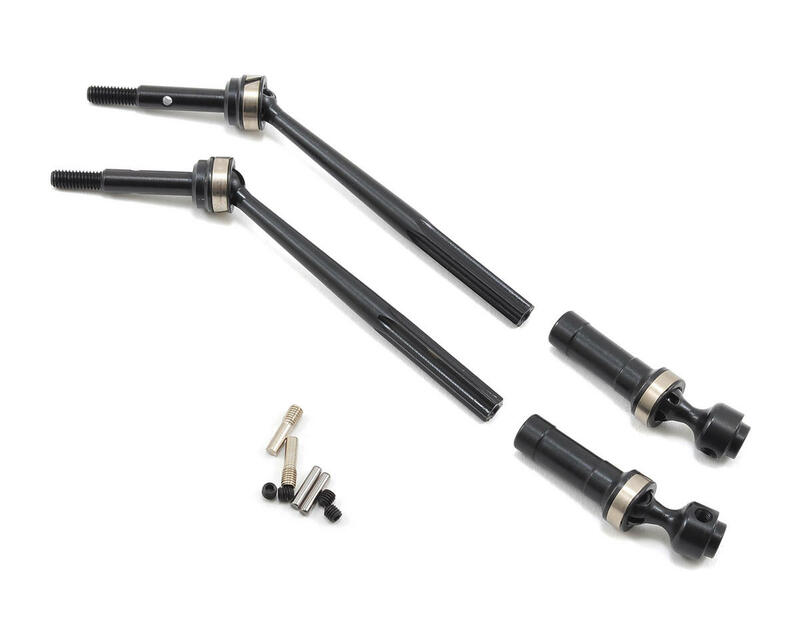 Made from Hardened Black Oxide coated Steel, the Pro-Spline Drive Shafts have a true 6-sided spline that slides smoothly throughout the suspension travel without having to worry about stripping out like the stock plastic drive shafts. The pins are held in place by zinc coated snap rings and M3 set screws on both ends. Installed these thinking they would be the best available on my stampede vxl with proline protrac suspension package installed. Lasted to batteries and then they fell apart. Make sure you purchase PRO6262-07 these as well so when your's fall apart then you can rebuild them straight away. They are very strong but not the best design of the pin capture. Not happy because they cost a lot of money and would have thought they would be better.